Download eStore eCommerce Website Template Free PSD. A clean ecommerce website templates that you can use to create an online store for any kind of products. eStore eCommerce Website Template Free PSD has a clean and simple design which you can customise according to your needs. This is eCommerce PSD templates that is packed with lots of features. Just download this freebie psd set which you can easily customisable and use in almost all your eCommerce website projects. You can download all 9 psd templates for free which includes Homepages style & inner pages such as product details, product list, cart etc. 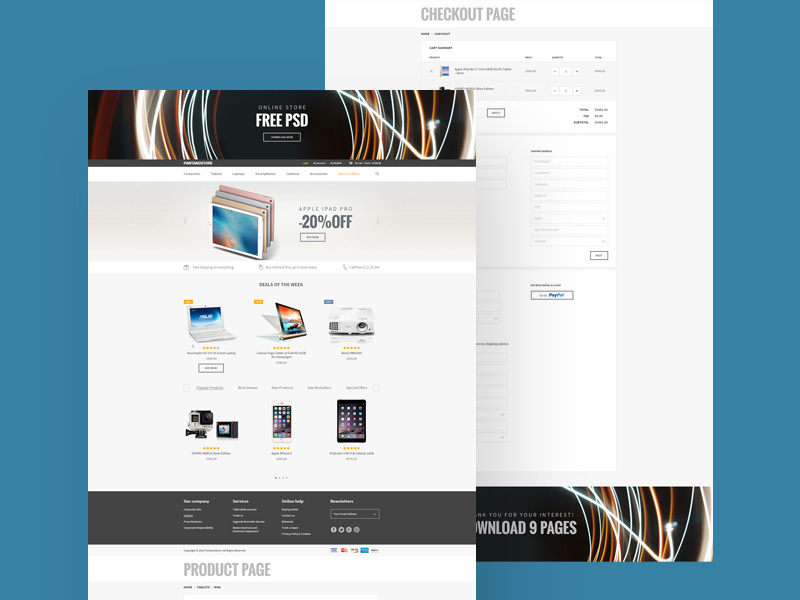 eStore eCommerce Website Template Free PSD is available for free download. Feel free to use it in your upcoming personal and commercial projects. Hope you like it. Enjoy!